I ran this race for the first time last year and it was a fun one! The start is a bit daunting because you head up hill, but what goes up must…well you know. Guess what happens right before the finish line? Yup, that same hill, turned around and pointed DOWN. Not being familiar with the course and having no timing/gps device on me last year I did not realize just how close I was to the finish line and therefore continued to hold back. In fact, I did not realize that I was about to cross the finish line until I was doing it! Weird right? You see, there are two races happening simultaneously, the 5K and a 5 Mile. I thought we were being split onto different courses, which we were, I just didn’t know that my course, the 5K, was ending so soon. This year I am going in armed with experience. I will be able to use that final downward hill to my benefit and I will know when to start my final kick. 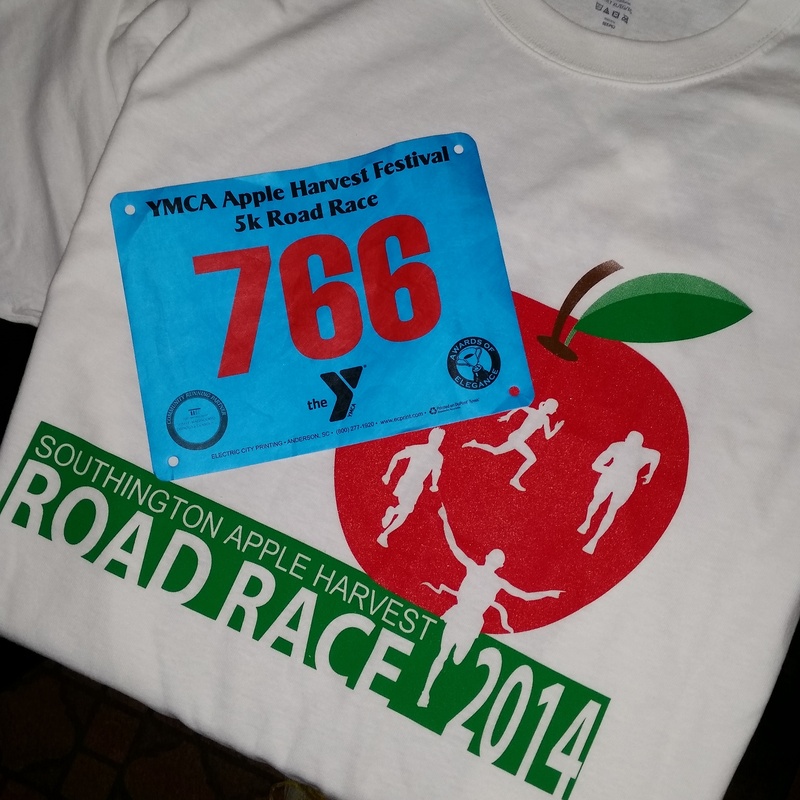 No more just cruising across the finish line at the Apple Harvest for this girl! Thursday rolled in with even MORE humidity. It also brought a renewed ache to my neck. I have not determined the weather as a factor to my neck aches but I am not discounting it either. Luckily for me Thursday was a planned “Off” day. Off days are important both mentally and physically. Lori (my awesome nutritionist) has schooled me on the importance of NOT eating the same things everyday. Breakfast on Thursday consisted of three links of Turkey Sausage and a bowl of Cinnamon Chex with blueberries and fat free milk. 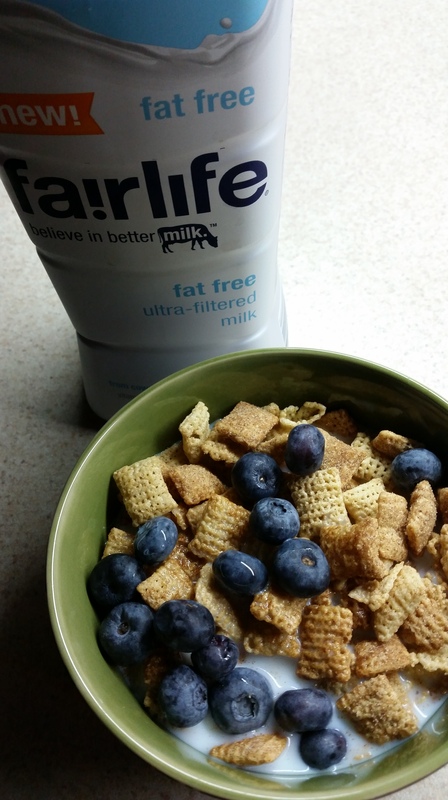 Have you tried Fairlife milk? It tastes yummy and has a crazy long shelf life. I only use milk for my cereal and that is only a couple of times a week. For someone like me the long shelf life is key! Speaking of Lori, I finally got myself back into her office. It has been a couple of months of just plain feeling sorry for myself which has resulted in a SIX pound increase on the scale. Good job Anne, well done! I have faith that Lori will whip me into shape. Do you like my new water bottle? This is the latest and greatest object in my quest for the ultimate vessel to carry while running. I hope to try it out this weekend. 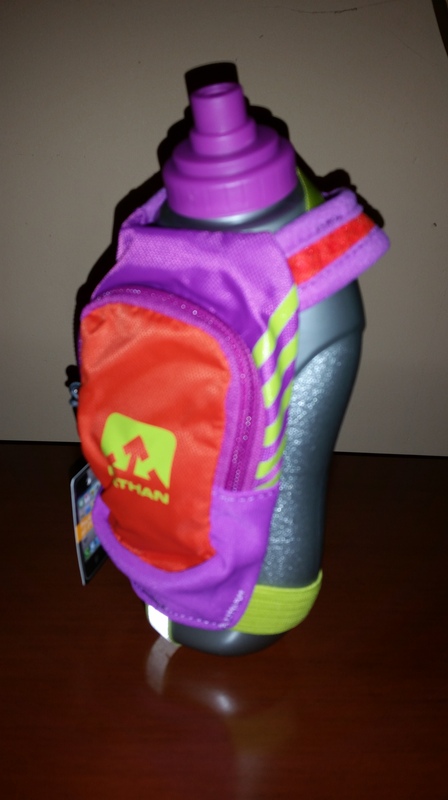 Do you carry water while you run? What type of bottle do you use? When is your next race? How far? Are you a milk drinker? What is your favorite breakfast? Awesome Anne! So excited for you! See you at the track, I have to pull off a 1:40 plank today….